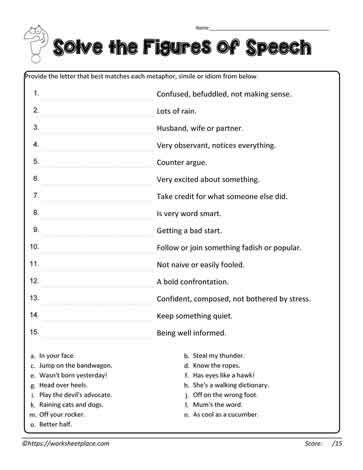 I love using figures of speech when I'm working with children who have difficulty 'reading between the lines.' And, in the classroom today, there are many children who are on the spectrum who will benefit from 'reading between the lines' or determining the hidden meaning. The worksheets here are for just that purpose! 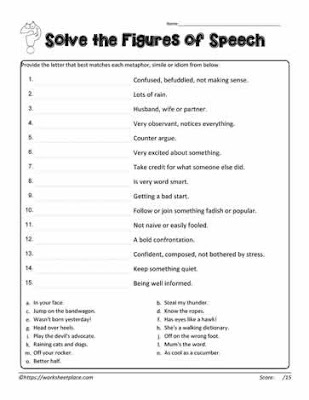 Use them on the presentation device you have or simply p rint out the worksheets for your students and see how they make out determining what the meaning is for each of the figures of speech. You'll find great activities from illustrating figurative language to matching the term to the definition and inferring meaning from the statement. It's also a great opportunity to have students role play and guess the hidden meaning. You'll find idioms, personification, metaphors and similes all free! 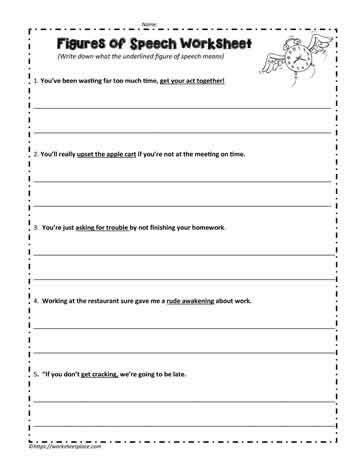 Enjoy the free figures of speech worksheets here. As always, please share your thoughts, ideas and strategies for everyone to benefit from.